Complaining that Alexa footage looks 'milky and low contrast'. The Arri Alexa camera can shoot 'linear' (technically called Rec.709) which looks 'normal'. Or as LogC which looks 'milky and low contrast'. LogC gives you more latitude. Which, depending on the calibre of the cinematographer, means, he can mess up the exposure and you fix it in post, or he can shoot amazingly and you can change the 'look' and better it in post. On the set you can shoot LogC (milky) and yet monitor Rec709 (normal). So, many people get fooled into believing what's on the monitor is being recorded. LogC need to be converted before you can see them normally. Avid has no method of doing this logC-linear ('milky' to 'normal') conversion. In FCP you can get Nick Shaw's plug-in for $ 30 (Rs 1500) and apply it to all clips. But it is 8-bit and not for production. Alternately you can download a LUT for the Log-C to Rec709 conversion from Arri's web site. Google 'Arri LUT generator' and you'll find it. And also Arri's excellent white paper on how it all works. You can also use Resolve, or the free Resolve Lite to do this conversion. Download it for free from Blackmagic's web site, struggle with it for a few hours, and then get an expert to do it for you. Best of all, if you're shooting for TV, and you really don't want to mess with this Log-C business, just shoot linear or Rec709. Alexa shoots HD 1920x1080 on memory cards - called SxS cards. or it can shoot '3k' to a Codex digital recorder. or it can record out to as video to an HDCamSR VTR on to HDCamSR tape. On memory card it shoots Quicktime movies in the Apple ProRes4444 format. On the Codex it shoots ArriRAW files that have to be converted before you can edit them. Copying all this data to WD, or Seagate or LaCie disks is a risk. A drive fails, you need to reshoot. Period. There are two kinds of people - those who have had to reshoot because of a hard disk failure, and those who have yet to reshoot because of a hard disk failure. Carry a piece of wood to knock on from time to time if you are the latter. Or, hire someone to do data management for you. Whatever you decide, don't let the post house manage your data. And never leave your data on someone else's hard disk. It is vastly easier to browse, copy and use anyone's data in a post house's shared hard disk - than it used to be in the 'film and video tape' days. For data storage on movies I'm currently working on - Canon7D, Red, or Alexa, TV or cinema or commercials - I'm currently using RAIDs from Sonnet, G-Tech, and Maxx. All are good. And safe. I also advice backing up to LTO tape for long term storage. ArriRAW does it at 10 GB per minute, or 600 GB per hour. ArriRAW has more resolution and latitude than ProRes4444, but at a cost. There's only one Codex recorder that can shoot ArriRAW, in India, so far. If all this sounds complicated, it really is just a bit. If you'd like peace of mind, do all that I've recommended and you're safe. Blackmagic announced yesterday the immediate availability of Resolve Lite 8.1.1, the free version of DaVinci Resolve colour correction software for the Mac. The free Resolve Lite has been around for many months now, with limitations. One being that you could use only 2 nodes, meaning effects or layers, and that you could work on at the most, an HD timeline. The new Resolve Lite 8.1.1 breaks the node limitation, but the HD limitation remains. Still, you get a full-blown colour correction tool that used to cost hundreds of thousands of dollars just a few years ago, for free. Just download and use. To give your movie a professional 'look', to be a colour correction extension to FCP and Avid systems. Seriously professional tools, now easily accessible by anyone. In forums and web sites, dismay is being expressed by 'pros' who lament the fall in value of the work of colour correction, and Blackmagic's 'ruining the market' for this hallowed area of post-production. Whichever way this thing goes from here forwards, here is my take on the real deal in this move by Blackmagic. Film and video post houses of 5 years and older, have their fill of Autodesk Lustre, Quantel iQ, Baselight, Nucoda, and other systems. For film based colour correction, they employ DaVinci and Pogle systems tied to telecine machines. The total number of such entities in India would not be over 100. And the world over, maybe 500 or so. Resolve may or may not sell to these few. Smaller post houses have lower end systems from Filmlight, Quantel, Autodesk, and Scratch. These would be in the thousands the world over, and maybe a few hundreds on India. And then there are the Avid-FCP-Smoke shops. Resolve may or may not sell to these too. So, combined, the 'high to mid end' market numbers in the thousands maybe 2-3 thousand, maybe more, definitely not more than 10,000. The world over. Okay, 20,000 tops. Now, coming to the hordes of documentary, small TV commercial, TV serial, and budget film-makers, these number in the millions. FCP itself has sold over 2 million seats worldwide and in India maybe over a hundred thousand. Avid, Premier Pro, Vegas and other NLEs are a smaller number but I could guess them to be a million together. So there is this 3 million strong 'indie post' market for Resolve Lite. Many of these Resolve Lite users will go in for some Blackmagic hardware as a video out for their Resolve. Either a HD Extreme 3D, or an Intensity card, or a Thunderbolt equipped Ultrastudio. So Blackmagic opens up another avenue for hardware sales. Even if only one-fifth of this market dabbles in Resolve, its a great number. And it can only increase, unlike the multi-crore 'pro' post houses. Unlike software which can be easily 'shared', hardware is strictly one per system. And it helps that Blackmagic hardware is now compatible with Avid as well as Premiere Pro. And, of course it supports FCP 7 which may have been discontinued by Apple, but it still works for most movie-making situations. The move to make the Resolve software free, and now, add almost all features in the free version, is therefore, basically a business move by Blackmagic. It may dismay the few thousands (even tens of thousands) of 'pro' users, but it could mean a windfall in business for Blackmagic. By making the software that runs on their hardware, rather than depending on other companies' software (like FCP, Avid and Premiere Pro) alone, Blackmagic have done nearly what Apple have been doing for nearly a decade now. But what happens to the actual job of colour correction, imparting a 'look' to a movie. And what about the human who does this all. Will the software being free or economical (the full featured unto 4k version also costs only about $1000 or Rs 60,000) devalue this once prized occupation? I think quite the contrary. Look at other trades. Editing, which could only be done on large Steenbeck systems and even Avid systems costing almost half a crore rupees (over $ 50,000), can now be done on laptops costing under a lakh rupees. FCP changed that. But editors still make as much (or as less) as they did in the mid nineties when costly Avids ruled. Sound designing which can be done on even less endowed PCs and Macs have not led to sound engineers being paid less. or their craft in any way devalued. In fact, my sound friends who travelled in buses and trains own some fancy cars now. So, if anything, this so called 'commoditzation' of technology, does create the impression that anyone can own the means of making movies. Only in the short term. Initially everyone and his dog go out and buy or download these 'cheap' software, and try their hands at using it. Once they see how hard it is to be creative and operate something, they develop a greater value for the man behind the machine. I am firmly convinced about this and I've seen it happen over and over again. So, in the coming months brace yourself for some abysmally colour corrected movies by amateurs who've just downloaded Resolve and are trying to make their shots look good. But after that, there will be colorists who will own their own Resolves and movie-makers will queue up to work with a specific colorist. Then they will not bother with what software he or she uses, they will go by what they see on a screen. For colorists this is a boon. For once, they can own their own grading system for a sum that's less then many of their daily or weekly earnings. And now, they can finally be paid for their skill and not for the cost of the equipment. The 'take home' package for independent colourists just got bigger. Wait and see. 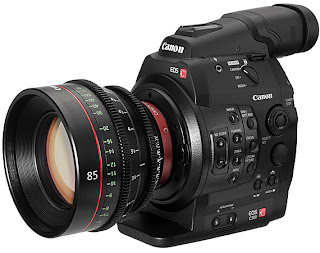 The Canon EOS C300 announcement left many a question unanswered. Until now. Canon has put up a FAQ on their Cinema EOS camera systems. There's some very interesting explanations on latitude, dynamic range, ISO, 8-bit vs 10-bit, and other such geek stuff. Interesting read. Scarlet X as the new Red camera announced yesterday, will ship on Nov 17, 2011. Yes, for a camera company that's known for intricate shipping schedules, systems in Beta, slipping delivery times, this shipping on Nov 17 is also a big story. And the price too. 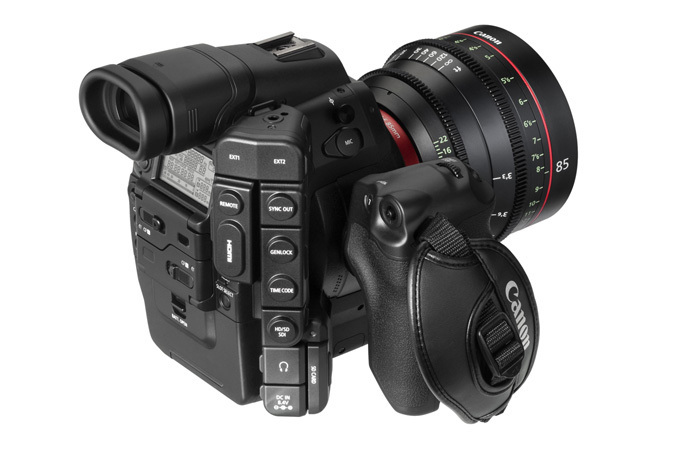 At $ 9,750 for the Canon mount version, and $ 11,250 for the PL mount version, it severely undercuts the F3 and the yet to be released Canon EOS C300. Alexa, Sony F65 will also feel the heat, but only somewhat. Has a HDRx mode to offer up to 18 stops of latitude. It shoots to SSD and has a Canon or PL mount. And supports Red's own LCD touchscreen of the Bomb EVF as viewfinders. The Canon C300 won't ship till 2012. And the just announced 4k HD-DSLR even later. 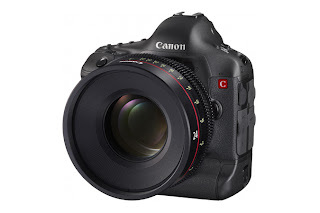 Canon has some breathing space to probably massage their pricing, and even add features. Maybe a 100 Mbps codec, more features through software etc. It's going to be an interesting 2012 for cameras, and editing stuff from those cameras. At about this time next year, who knows what we would be making movies on. 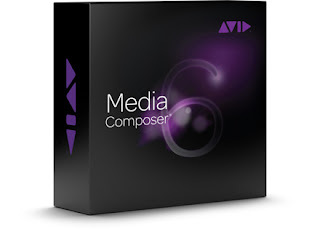 Just after the Canon EOS C300 announcement came the announcement by Avid on their new Media Composer 6 editing software. Fully 64bit so better use of RAM and faster performance especially for large projects. Symphony 6 will be a software product for $ 6000 and will work with the same third party hardware from Aja and Blackmagic. This might mean some competition for Smoke on Mac. So, this is a whole new and improved MC 6 with definite performance improvement over past versions. But the changes are not as radical as the FCP-FCPX change which may have put off some editors. There are huge new features which it is hoped editors will embrace and use more effectively. Actually some of the features even in earlier versions of MC made it foray into finishing systems territory, and this new version continues this trend. This version of Avid works with the Aja Kona and Blackmagic, so for users with a Mojo SDI that could not work with HD without the pricey MojoDX, can now run Avid with the Aja Kona at $ 2000 or a Blackmagic HD Extreme at $ 1000. 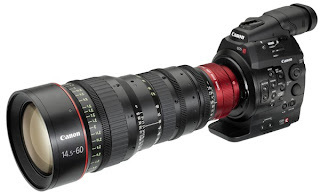 A couple of days ago, Canon made big news about new products that will affect the way movies get made and edited. 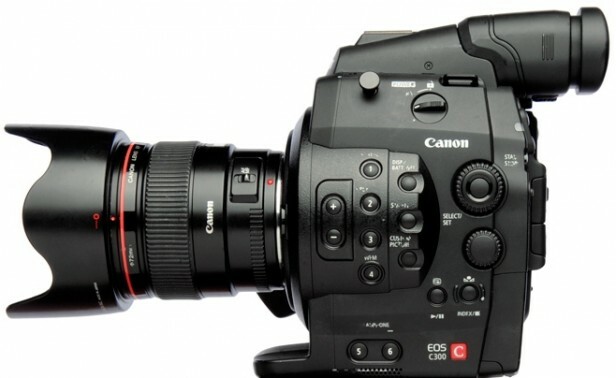 Canon announced a new video camera the EOS C300. This is a video camera that Canon has built after studying the response to the 5D MkII, 7D and their range of HD-DSLRs. These were actually cameras that were intended to be still cameras that could shoot movies too. But ended up being used as video cameras for docus, ads, even feature length movies. The EOS C300 is made as a movie camera first. It will be available in early 2012 for about US$ 16,000. More on the C300 as information is out, but the $16-20k (Rs 8-10 lakhs) price tag will not affect the 5D MkII and 7D crowd, but it could end up challenging the Sony F3 and maybe the Alexa. Let's wait and see till after Jan 2012. Canon also announced the future development of a full frame still camera capable of recording 4k movies at 24P with M-JPEG compression. 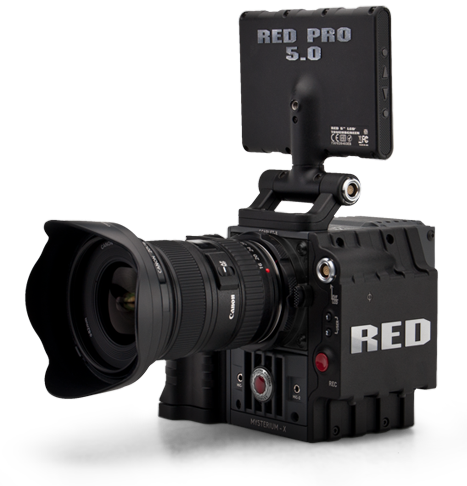 There's also the announcement by Red on a new camera, but more at it happens.